Messaging app LINE has reached 300 million registered users, according to its maker — reaching a target set by the company’s CEO earlier this year. 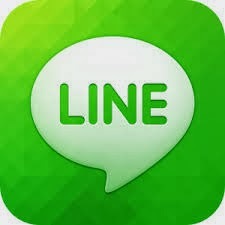 LINE Corporation’s boss Akira Morikawa said the company is aiming to reach 500 million registered users by the end of 2014 and “to develop LINE into the world’s top communication service”. 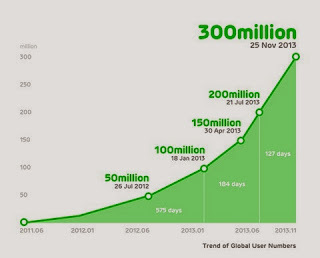 The app increased its user base from 200 million to 300 million in the space of just four months. It took 19 months to gain the first 100 million users, and six months to gain the next 100 million. India is an important market for the company. “India has overtaken Japan to become the country with the third-largest number of smartphone users (according to a Strategy Analytics report). It is only natural to anticipate further growth of the smartphone market in India, and we believe that it will become a vital territory as Line expands into the global marketplace,” Morikawa had stated earlier. LINE was first launched in Japan in 2011 and has found success through offering stickers to attract younger users and providing a gaming service over its platform. Game revenue accounted for 60 per cent of its total revenue in the third quarter of 2013 with around 20 per cent coming from sticker purchases. LINE has performed particularly strongly in East Asia but the company claims the number of registered users is also growing steadily in Spanish-speaking regions, including Spain and Mexico. It is also working to gain new users in India, Turkey and Western Europe through localised promotions and partnerships.LINE claimed to have gained 10 million users in India in just three months, after a series of TV commercials and a partnership with Sony India. The company anticipates 20 million Indian users by the end of the year.